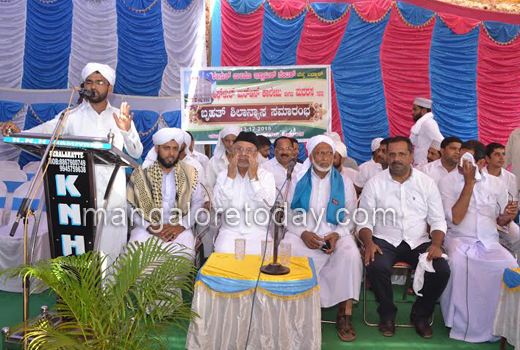 Mangaluru, Dec 16, 2015: It is only religious education that can create an awareness as well as sensitize the Muslim population about Islam and society, said Panakkad Hyderali Shihab Tangal. 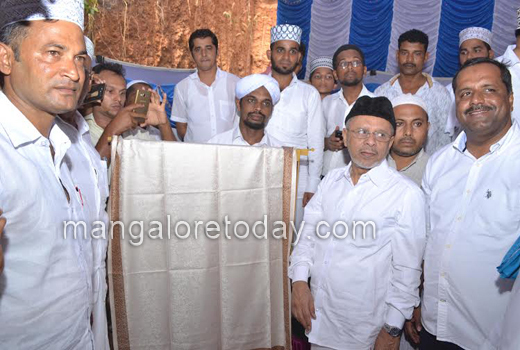 He was speaking after laying the foundation for the Hiflul Quran College and Madarasa building proposed by the Shamsul Ulama Islamic Centre at Badyar near Deralakatte. Shihab Tangal also stressed the need for members of the community to extend their co-operation for such projects. Such institutes will give an in-depth knowledge about society and religion, he added. 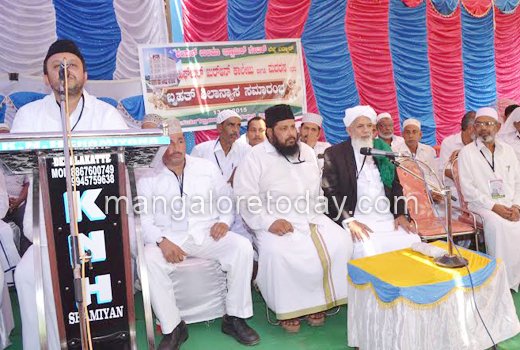 Earlier, Panakkad Sayyed Abbas Ali Shihab Tangal inaugurated the ceremony while District Khazi Shaikhuna Twakha Ahmed Musliyar presided over the function. 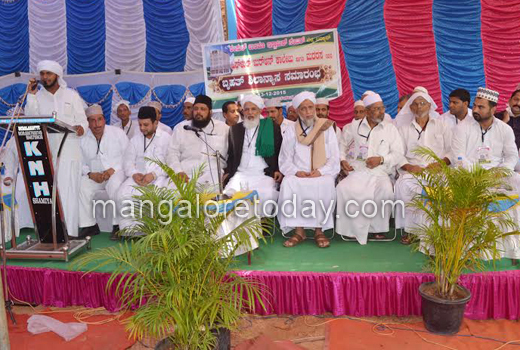 Prof. K Alikutti Musliyar, Khazi of Kasargod, State Health Minister UT Khader, Belma Gram Panchayat Vice President Sattar C.M, Derlakatte Kendra Jumma Masjid President Aboobakker Natekal, Ibrahim Badyar, President of Shamsul Ulama Islamic Centre and many other Islamic leaders were present.